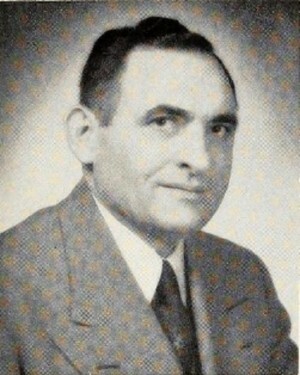 Horovitz pictured in Movie Makers, July 1952, 173. From Newton, Massachusetts. The blog post "More about an Amateur Cinema League of Nations" on the Orphan Film Symposium website discusses Horovitz and some of his films; the mention also notes the existence of a now defunct website devoted to Horovitz's work, formerly accessible at "OHHmovie.com". Oscar H. Horovitz. Was born in Boston December 7, 1899. He lived in Newton, Massachusetts and then Florida. He graduated from Chelsea High School and, in 1922, he received a bachelor's degree in civil engineering from the Massachusetts Institute of Technology. He founded the Oscar H. Horovitz Steel Erection Co. in Cambridge. Mr Horovitz retired when he was 50 to travel with his wife all over the world. He loved golf and tennis. He died August 6, 1989. PSA Journal, Nov. 1955, 20. PSA Journal, Dec. 1955, 37. PSA Journal, Nov. 1956, 45. PSA Journal, Nov. 1957, 31. PSA Journal, Nov. 1958, 47. PSA Journal, Nov. 1959, 48. PSA Journal, Nov. 1960, 42. PSA Journal, Sept. 1965, 49. PSA Journal, Oct. 1968, 47. PSA Journal, Nov. 1969, 53. PSA Journal, Nov. 1970, 38.